a dead “plesiosaur” caught near New Zealand. Most well-meaning, informed creationists would agree in principle that things which are not carefully documented and researched should not be used. But in practice, many of them are very quick to accept the sorts of facts mentioned here, without asking too many questions. They are less cautious than they might otherwise be, because they are so keen to have “our” facts/evidences to counter “theirs.” What they really don’t understand, however, is that it’s not a matter of “their facts vs. ours.” All facts are actually interpreted, and all scientists actually have the same observations—the same data—available to them. 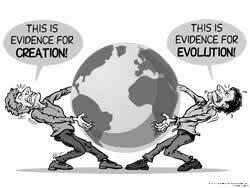 Creationists and evolutionists, Christians and non-Christians, all have the same facts. Think about it: we all have the same earth, the same fossil layers, the same animals and plants, the same stars—the facts are all the same. The difference is in the way we all interpret the facts. And why do we interpret facts differently? Because we start with different presuppositions; these are things that are assumed to be true without being able to prove them. These then become the basis for other conclusions. All reasoning is based on presuppositions (also called axioms). This becomes especially relevant when dealing with past events. We all exist in the present, and the facts all exist in the present. When one is trying to understand how the evidence came about—Where did the animals come from? How did the fossil layers form? etc.—what we are actually trying to do is to connect the past to the present. However, if we weren’t there in the past to observe events, how can we know what happened so that we can explain the present? It would be great to have a time machine so that we could know for sure about past events. Evolutionists have certain beliefs about the past/present that they presuppose (e.g., no God, or at least none who performed acts of special creation), so they build a different way of thinking to interpret the facts of the present. Thus, when Christians and non-Christians argue about the facts, in reality they are arguing about their interpretations based on their presuppositions. These two people are arguing about the same facts, but they are looking at the facts through different glasses. It’s not until these two people recognize the argument is really about the presuppositions they have to start with that they will begin to deal with the foundational reasons for their different beliefs. A person will not interpret the facts differently until he or she puts on a different set of glasses—which means to change one’s presuppositions. A Christian who understands these things can actually put on the evolutionist’s glasses (without accepting the presuppositions as true) and understand how he or she looks at facts. However, for a number of reasons, including spiritual ones, a non-Christian usually can’t put on the Christian’s glasses—unless he or she recognizes the presuppositional nature of the battle and is thus beginning to question his or her own presuppositions. However, if that person had been helped to understand this issue of presuppositions, then he or she would have been better able to recognize this for what it is—a different interpretation based on differing presuppositions (i.e., starting beliefs). Often people who don’t believe the Bible will say that they aren’t interested in hearing about the Bible. They want real proof that there’s a God who created. They’ll listen to our claims about Christianity, but they want proof without mentioning the Bible. “Facts” are neutral. However, there are no such things as “brute facts”; all facts are interpreted. Once the Bible is eliminated from the argument, the Christians’ presuppositions are gone, leaving them unable to effectively give an alternate interpretation of the facts. Their opponents then have the upper hand as they still have their presuppositions. Truth can/should be determined independently of God. However, the Bible states: “The fear of the Lord is the beginning of wisdom” ( Psalm 111:10 ); “The fear of the Lord is the beginning of knowledge” ( Proverbs 1:7 ); “But the natural man does not receive the things of the Spirit of God, for they are foolishness to him; neither can he know them, because they are spiritually discerned” ( 1 Corinthians 2:14 ). A Christian cannot divorce the spiritual nature of the battle from the battle itself. A non-Christian is not neutral. The Bible makes this very clear: “ The one who is not with Me is against Me, and the one who does not gather with Me scatters ” ( Matthew 12:30 ); “ And this is the condemnation, that the Light has come into the world, and men loved darkness rather than the Light, because their deeds were evil ” ( John 3:19 ). Agreeing to such terms of debate also implicitly accepts the proposition that the Bible’s account of the universe’s history is irrelevant to understanding that history! You might not believe the Bible, but I do. And I believe it gives me the right basis to understand this universe and correctly interpret the facts around me. I’m going to give you some examples of how building my thinking on the Bible explains the world and is not contradicted by science. 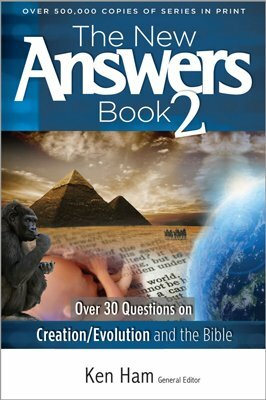 One can, of course, do this with numerous scientific examples, showing, for example, how the issue of sin and judgment is relevant to geology and fossil evidence; how the fall of man, with the subsequent curse on creation, makes sense of the evidence of harmful mutations, violence, and death; or how the original “kinds” of animals gave rise to the wide variety of animals we see today. For instance, the Bible states that God made distinct kinds of animals and plants. Let me show you what happens when I build my thinking on this presupposition. I will illustrate how processes such as natural selection, genetic drift, etc., can be explained and interpreted. You will see how the science of genetics makes sense based upon the Bible. Evolutionists believe in natural selection—that is real science, as you observe it happening. Well, creationists also believe in natural selection. Evolutionists accept the science of genetics—well, so do creationists. However, here is the difference: evolutionists believe that, over millions of years, one kind of animal has changed into a totally different kind. However, creationists, based on the Bible’s account of origins, believe that God created separate kinds of animals and plants to reproduce their own kind; therefore, one kind will not turn into a totally different kind. Now this can be tested in the present. The scientific observations support the creationist interpretation that the changes we see are not creating new information. The changes are all within the originally created pool of information of that kind—sorting, shuffling, or degrading it. The creationist account of history, based on the Bible, provides the correct basis to interpret the facts of the present; and real science confirms the interpretation. honoring the Word of God that convicts the soul. If Christians really understood that all facts are actually interpreted on the basis of certain presuppositions, we wouldn’t be in the least bit intimidated by the evolutionists’ supposed “evidence.” We should instead be looking at the evolutionists’ (or old-earthers’2) interpretation of the evidence, and how the same evidence could be interpreted within a biblical framework and confirmed by testable and repeatable science. If more creationists did this, they would be less likely to jump at flaky evidence that seems startling but in reality has been interpreted incorrectly in their rush to find the knockdown, drag-out convincing “evidence” against evolution that they think they desperately need. The various age-dating methods are also subject to interpretation. The various age-dating methods are also subject to interpretation. All dating methods suffer, in principle, from the same limitations—whether they are used to support a young world or an old world. For instance, the public reads almost daily in newspapers and magazines that scientists have dated a particular rock at billions of years old. Most just accept this. However, creation scientists have learned to ask questions as to how this date was obtained—what method was used and what assumptions were accepted to develop this method? These scientists then question those assumptions (questions) to see whether they are valid and to determine whether the rock’s age could be interpreted differently. Then the results are published to help people understand that scientists have not proven that the rock is billions of years old and that the facts can be interpreted in a different way to support a young age. Consider the research from the creationist group Radioisotopes and the Age of The Earth (RATE) concerning the age of zircon crystals in granite.3 Using one set of assumptions, these crystals could be interpreted to be around 1.5 billion years old, based on the amount of lead produced from the decay of uranium (which also produces helium). However, if one questions these assumptions, one is motivated to test them. Measurements of the rate at which helium is able to “leak out” of these crystals indicate that if they were much older than about 6,000 years, they would have nowhere near the amount of helium still left in them. Hence, the originally applied assumption of a constant decay rate is flawed; one must assume, instead, that there has been acceleration of the decay rate in the past. Using this revised assumption, the same uranium-lead data can now be interpreted to also give an age of fewer than 6,000 years. Whenever you hear a news report that scientists have found another “missing link” or discovered a fossil “millions of years old,” try to think about the right questions that need to be asked to challenge the questions these scientists asked to get their interpretations! All of this should be a lesson for us to take note of the situation when we read the newspaper—we are reading someone’s interpretation of the facts of world history—there very well could be a different way of looking at the same “facts.” One can see this in practice on television when comparing a news network that’s currently considered fairly liberal (CNN) with one that is more conservative (FOX)—one can often see the same “facts” interpreted differently! 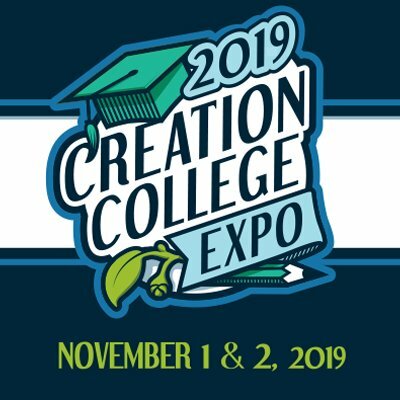 The reason so many Christian professors (and Christian leaders in general) have rejected the literal creation position is that they have blindly accepted the interpretation of facts from the secular world, based on man’s fallible presuppositions about history. And they have then tried to reinterpret the Bible accordingly. If only they would start with the presupposition that God’s Word is true, they would find that they could then correctly interpret the facts of the present and show overwhelmingly that observational science repeatedly confirms such interpretations. Don’t forget, as Christians we need to always build our thinking on the Word of the One who has the answers to all of the questions that could ever be asked—the infinite Creator God. He has revealed the true history of the universe in His Word to enable us to develop the right way of thinking about the present and thus determine the correct interpretations of the evidence of the present. We should follow Proverbs 1:7 and 9:10 , which teach that fear of the Lord is the beginning of true wisdom and knowledge. The bottom line is that it’s not a matter of who has the better (or the most) “facts on their side.” We need to understand that there are no such things as brute facts—all facts are interpreted. The next time evolutionists use what seem to be convincing facts for evolution, try to determine the presuppositions they have used to interpret these facts. 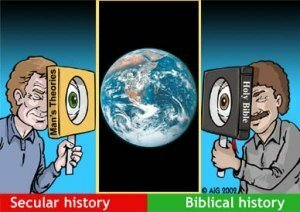 Then, beginning with the big picture of history from the Bible, look at the same facts through these biblical glasses and interpret them differently. Next, using the real science of the present that an evolutionist also uses, see if that science, when properly understood, confirms (by being consistent with) the interpretation based on the Bible. You will find over and over again that the Bible is confirmed by real science. But remember that, like Job, we need to understand that compared to God we know next to nothing ( Job 42:2–6 ). We won’t have all the answers. However, so many answers have come to light now that a Christian can give a credible defense of the Book of Genesis and show it is the correct foundation for thinking about, and interpreting, every aspect of reality. Therefore, let’s not jump in a blind-faith way at the startling facts we think we need to “prove” creation—trying to counter “their facts” with “our facts.” (Jesus himself rose from the dead in the most startling possible demonstration of the truth of God’s Word. But many still wouldn’t believe—see Luke 16:27–31 .) Instead, let’s not let apparent facts for evolution intimidate us, but let’s understand the right way to think about facts. We can then deal with the same facts the evolutionists use, to show they have the wrong framework of interpretation—and that the facts of the real world really do conform to, and confirm, the Bible. In this way we can do battle for a biblical worldview. Remember, it’s no good convincing people to believe in creation, without also leading them to believe and trust in the Creator and Redeemer, Jesus Christ. God honors those who honor His Word. We need to use God-honoring ways of reaching people with the truth of what life is all about. Previous Chapter What Is a Biblical Worldview? 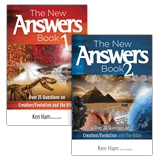 Next Chapter Are Biblical Creationists Divisive? See chapter 12 on “What Is a Biblical Worldview?” for further development of this idea. Those who accept millions of years of history. R. Humphreys et al., “Helium Diffusion Rates Support Accelerated Nuclear Decay,” www.icr.org/pdf/research/Helium_ICC_7-22-03.pdf. Science 261 (July 9, 1994): 160; see also, “Scientists Recover T. rex Soft Tissue: 70-million-year-old Fossil Yields Preserved Blood Vessels,” www.msnbc.msn.com/id/7285683/, March 24, 2005.